Collaborative platforms operate amidst self-regulation, public regulation and no regulation at all. While they spend a great amount of time and resources negotiating for lighter, favourable regulation with public regulators, fending off legal actions and defending themselves against incumbent firms, most platforms do support some regulation, essentially in the form of self-regulation. They do so for a number of reasons, including to a) protect their users and their rights, b) prevent any potential liability pinned on them, c) avoid bad reputation and therefore loss of value and revenue, d) appear responsible and generally show a good face to regulators etc. Self-regulation, however, does not seem to be panacea, and some sort of public regulation also seems appropriate. The collaborative economy is based on trust, both in the platforms and in peers. Therefore it is in the platforms’ interest to take trust-enhancing measures. Not only do they have the incentives to adopt self-regulation mechanisms but also the means to efficiently do so: they possess great amounts of data, useful for identifying negative behaviour, powerful machines and algorithms to analyse those, and are in the best position to exert some control over their users. If the core instrument for enhancing trust is through reputation rating systems, other, self-regulatory measures also play an important role. Platforms often set quality standards that the prosumers must meet as a condition to participate in the provision of services through that platform. For example, transportation platforms (such as Uber) impose conditions on the types of cars (only passenger cars, of a certain age etc), as well as the facilities that should be offered (bottle of water, Wi-Fi connection, Bluetooth connection with the passenger’s music etc). In so doing, the service provided becomes somewhat standardised and the consumers’ expectations tend to correspond to the actual service offered. Similarly, some ride-sharing platforms (such as Lyft) perform background checks on drivers’ criminal records and driving background checks to block prospective drivers from joining the platform as providers in the first place. Most collaborative platforms also use some form of identification system for their users (both consumers and prosumers). Hence, for instance, Airbnb gives hosts the option to hire out their properties only to ‘verified’ users, who have previously registered with the platform some photo of their official ID documents, such as driver’s license or passport. Personality checks are another means through which platforms ensure that the suppliers qualify to provide the relevant service. For instance, Lyft has instituted a ‘Mentor Session’, where an experienced Lyft driver rides with the ‘prospect’ and performs a 19-point vehicle inspection before the new driver being approved. Further, collaborative platforms often rely in the ‘big data’ analytics in order to monitor transactions and either block or flag any suspicious activity (from fake reviews to money laundering), which is subsequently investigated and evaluated by a human employee. Last but not least, insurance coverage offered by the platform to users minimises uncertainty and increases digital trust. After some negative incidents, Airbnb announced the ‘Host Guarantee Programme’, which protects home-owners from damage to their property. This is complemented by the ‘Host Protection insurance programme’, which aims to protect hosts from third-party claims of bodily injury as well as property damage. Accordingly, collaborative platforms in the transportation market have implemented insurance policies for their customers covering, for example, third party liability, uninsured or underinsured motorist bodily injury coverage, contingent collision and comprehensive coverage while driving for the platform. Other voluntary actions, such as eg the Airbnb non-discrimination policy, or other platforms’ measures in favour of their “employees” (such as eg minimal monthly wage, insurance etc) further increase trust into the digital economy. Reputational quality – Regulation by the peers? The existence of information asymmetries between platform and users and among users can cause distrust and result in bad experiences for the collaborative participant. The difficulty of distinguishing good quality from bad is found in the traditional economy as well and has been expressed in the well-known Akerlof’s‘bad lemons’ theory. The reputational system on which the collaborative platforms rely offers a solution to the ‘lemon problem’, since via reviews or ratings, the potential customers can gain information about the quality of the product or service prior to them using it. Hence, the reputation of a supplier in the collaborative economy is the equivalent to the brand name in the traditional economy. peer-based reputational systems pose the problem of the ‘cold start’, ie the difficulty of new entrants to obtain consumer’s trust and gain some market share. In this sense, ratings constitute an important barrier to entry. Some of these problems may be resolved from an ‘external’, third party, review, such as eg TripAdvisor. Or, by reputation aggregators, based on social media or otherwise, where the parties’ reputation from different platforms would be gathered; this would also favour multi-homing and platform mobility – precious means for fostering competition in the platform economy. These solutions, however, may not fully address all the problems mentioned above. Hence, the question whether some kind of regulatory intervention, in respect of the reputation mechanisms or else, is raised. In an effort not to stifle innovation, the EU’s has followed a wait-and-see approach. Indeed, at a purely normative level, the questions a) to regulate or not, b) now or later, c) ex ante (based on authorizations etc) or ex post (based on insurance etc), d) in a top-down, bottom-up or participative manner, e) at the local, national or supra-national level, can be lengthily discussed. The view taken here is that, especially after the Court’s judgment in the Uber Spain and Uber France cases, the need for some regulation at the EU level is now present and pressing. By refusing to acknowledge the special characteristics of the collaborative economy, the Court shifts the regulatory vacuum hitherto favourable to the platforms, in favour of their consumers and incumbents. Such an outcome is at odds with the Commission’s intention to support the development of online platforms and the sharing economy, as part of the Digital Single Market (DSM) strategy; it may also be at odds with the need of the EU to catch up with the US in the platform economy. Based on Uber Spain, where the Court found that the platform actively participated in the transportation service, the Court in Uber France asserted that it was criminally liable for not possessing the relevant administrative authorizations. The preliminary question was referred to the Court by the TGI Lille only a couple of months after the French Conseil d’Etat had reached the opposite result in a similar case. Therefore, the risk of divergent solutions and regulatory fragmentation is seriously present, not only between different Member States, but even between the jurisdictions of one and the same Member State (since the TGI Lille will have to follow the CJEU and rule against its own supreme administrative court). Some of the questions raised above have been very aptly addressed by the French Conseil d’Etat in its yearly study of 2017 on ‘uberisation’, where it favours some combination of hard and soft regulatory action at the EU level. The Conseil d’Etat also touches upon the idea of a special – lighter – regulatory regime in favour of operators in the collaborative economy; an idea previously mooted by the Italian Competition Authority in a position paper published in September 2015, where it was suggested that Uber and its drivers should be seen as a tertius genus (in relation to traditional taxis and to chauffeured cars), and be subject to a regulation ‘as light as possible’. Similarly, the OECD suggests that practices such as ‘effective reputation, monitoring and feedback mechanisms, educating and informing peers’ etc should be taken into account in order to submit platforms to a lighter regulatory regime. In the meantime, the Commission has set up an Observatory on the Online Platform Economy, in order to better understand the challenges raised: a daunting task! GA Akerlof, ‘The Market for “Lemons”: Quality Uncertainty and the Market Mechanism’ (1970) 84 The Quarterly Journal of Economics 488. 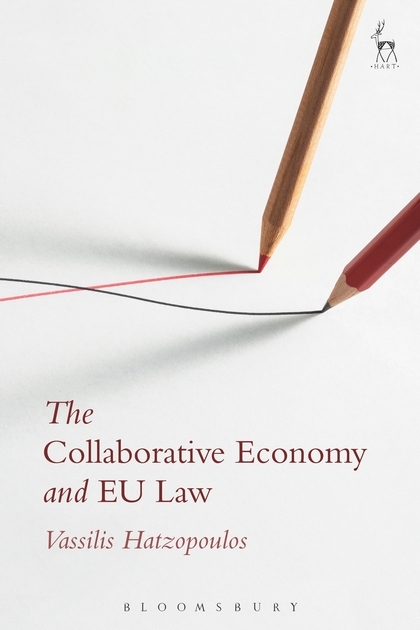 For all these issues see the discussion in V. Hatzopoulos, The Collaborative Economy and EU Law (Oxford: Hart) 2018, Chapter 7. See the Commission’s Communications for the collaborative economy (COM(2016)356 final) and for online platforms (COM(2016)288 final). For a discussion of this document and other developments under Italian law see A. de Franceschi, ‘The Adequacy of Italian Law for the Platform Economy’ (2016) 5 EuCML 56. Organisation for Economic Co-operation and Development (OECD), ‘Protecting Consumers in Peer Platform Markets, Exploring the Issues’ (2016) OECD Digital Economy Papers No 253, available at http://www.oecd-ilibrary.org/science-and-technology/protecting-consumers-in-peer-platform-markets_5jlwvz39m1zw-en23. Commission Decision of 26.04.2018 on setting up the group of experts for the Observatory on the Online Platform Economy (C(2018) 2393 final).